Ideal to enjoy the several beaches, get to know Lisbon and relax. Sesimbra is a fishing village, framed in the Natural Park of Serra da Arrabida and is known as the pearl of the Blue Coast. It's fish is famous in Portugal for its quality, and the village has great restaurants where you can taste it and eat seafood by the sea. 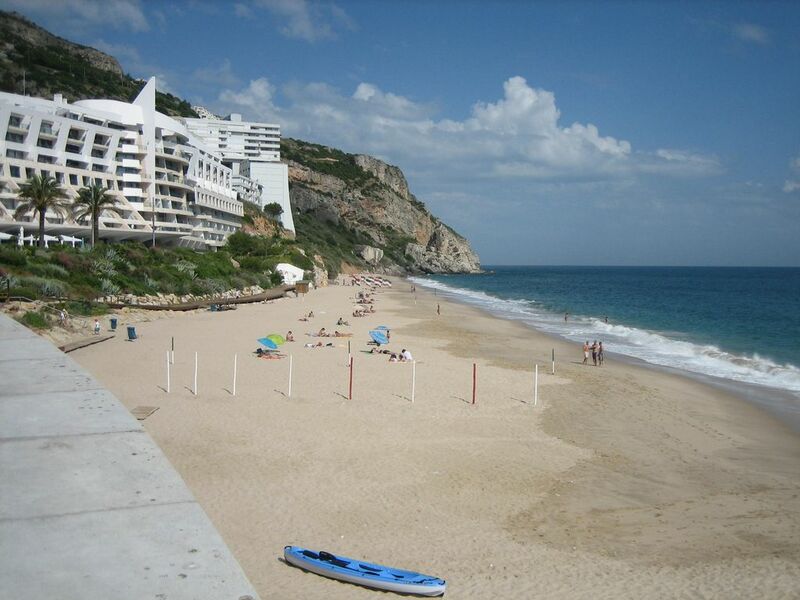 Sesimbra is also known for his beach, 2 km long with calm and crystalline waters and by its thirteenth-century castle. 10 km away on the coast facing W is Meco beach(my favourite), a wilder beach several kilometers long with clean water but more wavy. It is allowed to practice naturism in one of its beaches. 15 km away in the direction to Setubal is Serra da Arrabida a natural park with old convents, breathtaking views of the beaches and mountains and its vegetation. Serra da Arrabida is for sure one of the prettiest places of Portugal. And do not forget Lisbon (one of best cities to live in the world) just 35 Km of distance with so much to see and do that deserves to be visited as well as Sintra 20Km distance from Lisbon with his Palaces and Castles. Discover the charms of the fishing village of Sesimbra and the village of Meco and delight yourself with seafood and grilled fish. Immerse yourself in the clear waters and tranquil beaches of Arrabida Peninsula. Scroll through the Wine Route of Setubal Peninsula and discover the sweet nectar that is our Moscatel. Explore the footpaths that crisscross the Natural Park of Arrabida, visit the dolphins in the Sado estuary or enjoy a good round of golf. Leave some time left to visit Lisbon a Fantastic City full of History and Charm. The attractiveness of the area is multiple and deserves a stay to be repeated! Do not leave your booking to the last minute! illa with garden 900 meters distance to the beach in Sesimbra , a typical fishing village with a 2 km long sandy beach of calm and very clear water. Ideal to enjoy the several beaches, the spectacular surroundings of this charming village, get to know Lisbon that is just 35 Km away and above all relax. The appartment looks like the pictures, there are enough towels and sheets, and you get two set of keys - which is essential for a large group of people. Also cleaning and everything else is included in the price - no surprices. In addition, both the owners and the neighbours are really nice. I am glad that you enjoyed your stay in my house. Nice property well equipped. Well located for town, beach etc. but a bit of a climb uphill from them. In places no pavements on the highway. Overall very satisfied with the property. "We had a fantastic holyday. The house is very confortable, close to everything and peaceful. we could hear the birds singuing in the day. The owners are very friendly people and gave us very good sugestions. The beach in Sesimbra is very nice, but we loved the beach in Meco that has no constution over the beach and is better preserved. We saw an atonishing sunset while drinking a sangria in Bar do Peixe. Pity we had to leave, but we will be back for sure". La casa esta perfectamente acondicionada, muy limpia, amplia y comoda para pasar unas estupendas vacaciones. Los propietarios muy amables y dispuestos a solucionar cualquier imprevisto. La recomendamos por ser el alojamiento ideal para conocer Sesimbra, sus playas y todos los rincones de esta zona tan bonita de Portugal. Contento de que hayan disfrutado de vossa estancia en Sesimbra. Fue un plácer vos tener como huéspedes. Heureux que vous aimez Sesimbra et votre séjour dans ma maison. Sesimbra is a fishing village, framed in the Natural Park of Serra da Arrábida and is known as the pearl of the Blue Coast. Its fish is famous in Portugal for its quality, and the village has great restaurants where you can taste it and eat seafood by the sea. 10km away on the coast facing W is Meco beach(my favourite), a wilder beach several kilometers long with clean water but more wavy. It is allowed to practice naturism in one of its beaches. 15 km away in the direction to Setubal is Serra da Arrabida a natural park with old convents, breathtaking views of the beaches and moutains and its vegetagion. Serra da Arrabida is for sure one of the pretiest places of Portugal. And do not forget Lisbon just 35 Km of distance that has so much to see and deserves to be knowm as well as Sintra 20Km distance from Lisbon with his Palaces and Castles. Preços dependentes do número de pessoas. Pagamento de sinal ao reservar. Entrega das chaves pelo proprietário.